When in Maine, you must try lobster. But how much do you know about the Pine Tree State's most famous delicacy? You and your kids can learn everything you ever wanted to know about lobster on an excursion with Finestkind Cruises in beautiful Ogunquit, Maine. Lobster was once pauper food. Back in colonial America, lobsters were so plentiful that they were held in low esteem. They were tossed in the troughs of farm animals and their shells were ground up and scattered over the farm like manure. Eating lobster was a sign of poverty. Indentured servants grew so sick of eating the crustacean that they won court battles stipulating that they would not have to eat lobster more than three times a week. 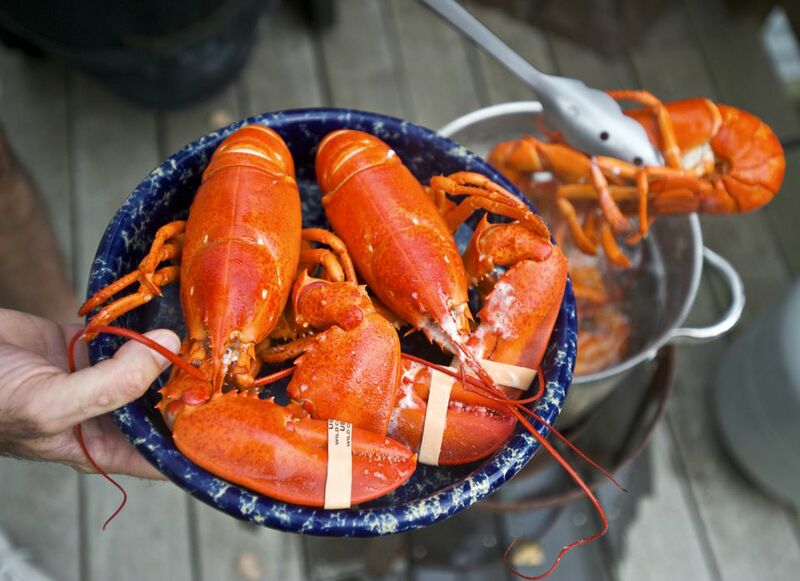 Prisoners in Maine still get lobster twice a week. A life of crime has its rewards in Maine. Today lobster is still a steady part of the penitentiary diet in Maine—though it is no longer served seven days a week. Nowadays Maine prisoners are served lobster only twice a week. Lobsters are cannibalistic. Whether in the wild or captured in the same trap, lobsters are predatory and will often eat another's tail, legs, claws, or even the whole shebang. Lobsters are not scavengers. Lobsters live on the ocean floor and eat mainly live food, including crabs, mussels, starfish, marine worms, shrimp, and even some plants. They can regrow their limbs. Lobsters outgrow and shed their exoskeletons many times over their lifetimes through a process called molting. If a lobster loses a limb, it can regenerate it during the molting process, although it can take sometimes take years before a regrown limb reaches full size. One claw is always bigger than the other. Lobsters always have one larger claw, called the crusher, and a slightly thinner claw with razorlike edges, called a pincher. They use the crusher to crack open shellfish and the pincher to tear out the meat. Lobsters feed themselves like squirrels. Once lobsters have used their claws on their prey, they feed themselves using their front legs, much in the same way as squirrels use their front paws. Lobsters are almost blind. Lobsters have compound eyes, like the common housefly, and have poor eyesight. They mostly use their eyes to detect movement. But they have amazing sense of smell. There are several receptors on their claws and their legs, which enable them to locate and recognize food in their immediate surroundings. They also smell using the short pair of antennules located between the longer, more prominent antennae. They have an extremely keen sense of smell and are attracted by the oily baitfish left by fishermen in lobster traps (called pots in Maine lingo). Lobsters have two stomachs. The first, located just behind the eyes and brain, is called the cardiac stomach. Located right next to it is the pyloric stomach, which extends to the abdomen. Lobsters swim backward. While exploring the ocean floor, lobsters can walk forward, sideways or backward. Yet when escaping danger, they use their tails to propel themselves backward at speeds of up to 20 mph. Lobster blood is colorless. It is transparent unless it comes in contact with oxygen, when it becomes bluish. Lobsters aren't red until they're cooked. While the vast majority of live lobsters are a brownish green color, a small percentage are naturally of a different color such as yellow, orange or blue. When you cook a lobster, the heat reacts with a pigment in the shell called astaxanthin and turns the shell bright red. Size matters. Lobstermen use a gauge to measure every lobster they catch. From the eye socket to the end of the carapace, a lobster must range in size between 3-1/4 to 5 inches long to be a keeper. Lobsters that are smaller or larger get thrown back. The little ones are allowed to grow, and the larger ones, it is hoped, will mate and produce more lobsters. This is why you can't order a Maine lobster under 1 pound or over 5 pounds. The fine for taking an oversized or undersized lobster is $500 for each violation and, in addition, a fine of $100 for each of the first five lobsters, and a fine of $200 for each lobster after that. Fertile female lobsters get a lifetime pass. One in two female lobsters are fertile. The fertile females can carry up to 100,000 eggs at a time and so are extremely valuable to the industry. When a lobster with eggs is discovered in a lobster trap, the lobsterman will cut a v-notch in the tail flipper before throwing it back into the ocean. The v-notch tells other lobstermen that it is a fertile female and protects the lobster for life from turning up on a dinner plate. Aficionados order lobster by gender. In many Maine restaurants, you can order lobster not only by size but by gender. Like claw meat? Order a male, since males tend to have larger claws. Prefer tail meat? Female lobsters tend to have wider tails with more meat. Lobsters may live forever. One of the largest lobsters ever found in Maine weighed 20 pounds and was estimated to be 140 years old. Lobsters are among a select group of species that appear to be ‘biologically immortal,' according to scientists. Barring predators, injury or disease, these creatures can live forever because their cells don’t deteriorate with age. On the contrary, lobster cells are constantly being renewed, so the crustaceans literally defy the aging process and grow larger and stronger with time.